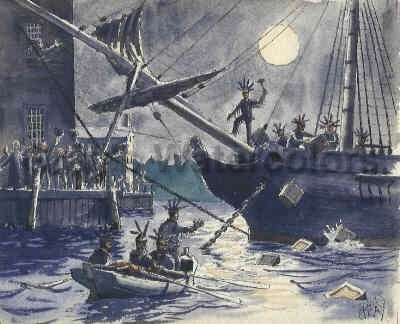 On this day in history, December 16, 1773, the Boston Tea Party takes place when a group of angry patriots dump the tea from three ships into Boston Harbor to protest Parliament's tax on tea. In 1767, the Townshend Acts placed a tax on tea and other items for the first time, leading to boycotts of English goods in the colonies. The Townshend Acts were finally repealed in 1770, except for the tea tax, which Parliament left in place to assert that it did indeed have the right to tax the colonists. By 1773, the British East India Company, the main importer of tea to England and the colonies, was suffering a severe financial crisis. The Indemnity Act of 1767, which removed certain taxes on the Company, had expired, causing the price of tea to go up. Tons of tea that could not be sold at the higher price sat in warehouses in London. In order to rescue the Company, Parliament passed the Tea Act of 1773, which removed taxes on the Company, allowed it to export directly to the colonies, thereby bypassing middlemen who raised the price and raised the tax on end-consumers. 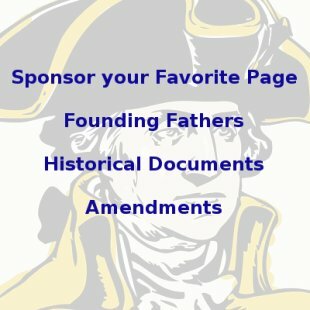 The Tea Act actually lowered the price of tea in America, but the colonists stood on the principle that it was unjust for Parliament to tax them at all because they were not represented in Parliament. 7 tea ships left England for America that year. Patriots at Philadelphia and New York successfully prevented the ships from unloading, while the ship at Charleston, South Carolina was confiscated by patriots and the goods resold to aid the patriot cause. In Boston, the Dartmouth, arrived on November 27 and was prevented from unloading by local patriots. The Eleanor and the Beaver arrived over the next few weeks, but they could not unload either, while a fourth ship was lost in a storm. By law, ships arriving in the Americas had 20 days to pay the required customs duties, meaning the taxes due on the Dartmouth's cargo had to be paid by December 17. The owners and captains of the ships volunteered to return the goods to England, but Royal Governor Thomas Hutchinson would not allow them to leave until the taxes were paid. Local citizens posted sentries around the ships to prevent them from unloading. On the 16th, a mass meeting of 7,000 people met at the Old South Meeting House in Boston. 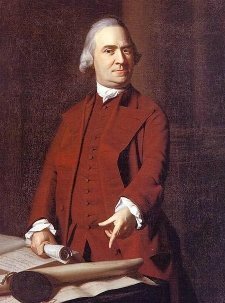 After the meeting, which was led by Samuel Adams, several dozen men, some dressed as Mohawk Indians, marched to Griffin's Wharf and boarded the ships. 42 tons of tea from all three ships was dumped into the harbor, so much that the water of Boston Harbor was reportedly brown for a week! The dumping of the tea on this date was important because it meant the tea could not be resold to pay the taxes. The term Boston Tea Party was not used for nearly another century. 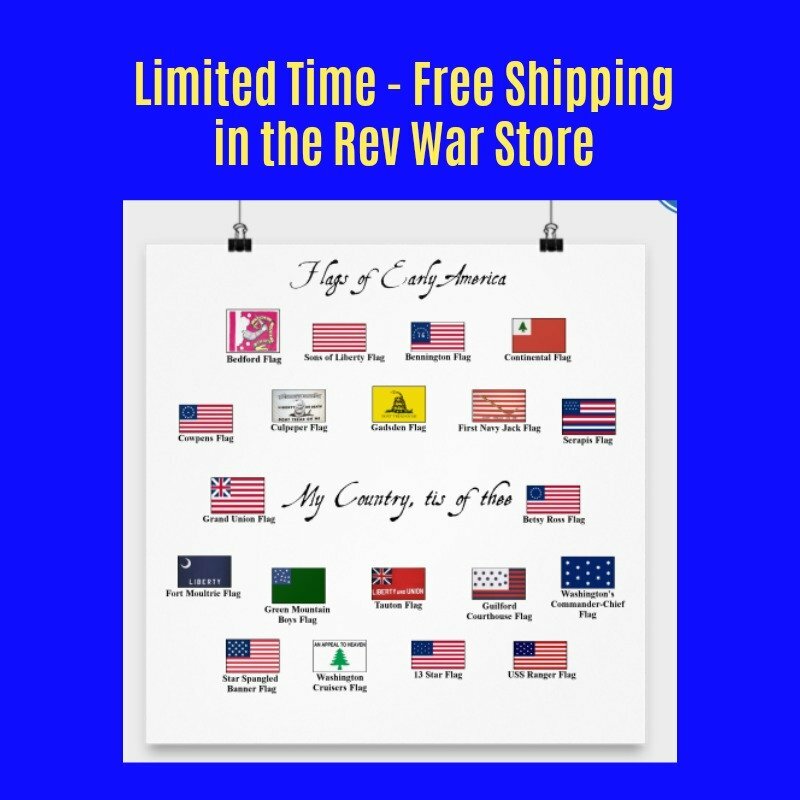 In fact, many Americans looked down upon the event for the first several decades after the Revolutionary War because it involved the destruction of private property. Eventually, though, the event came to represent a moment of pride in American history as a revolt against tyranny. Parliament responded to the Boston Tea Party by passing the Coercive Acts, which ended self-government in Massachusetts by disbanding the colonial assembly and shut down the port of Boston until the price of the tea was repaid. Theses "Intolerable Acts," as the colonists called them, were the direct cause of the calling of the First Continental Congress, which met to coordinate the joint response of the united colonies.